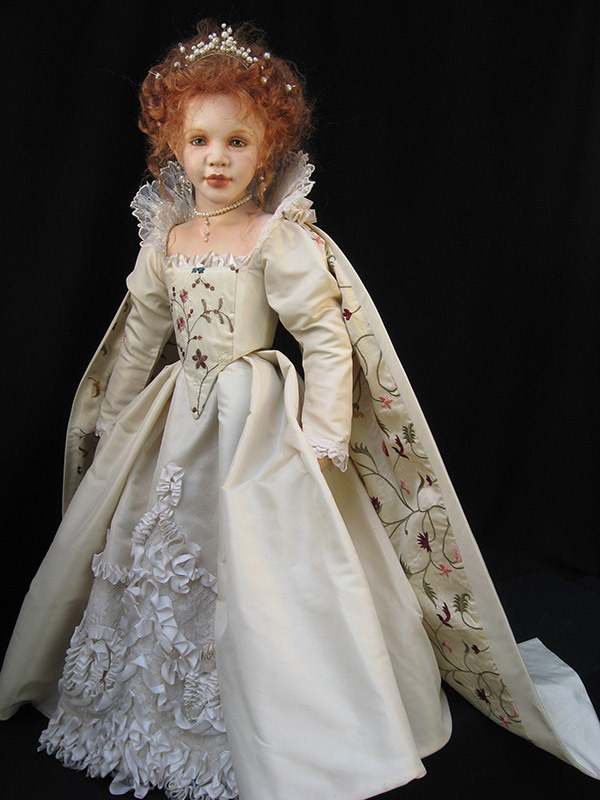 Queen Elizabeth I of England wears a stunning gown of cream taffeta with a full skirt; the front panel is decorated with silk ribbon. From her shoulders flows two separate panels of embroidered silk that trail behind her like a train adding to her regal formality. 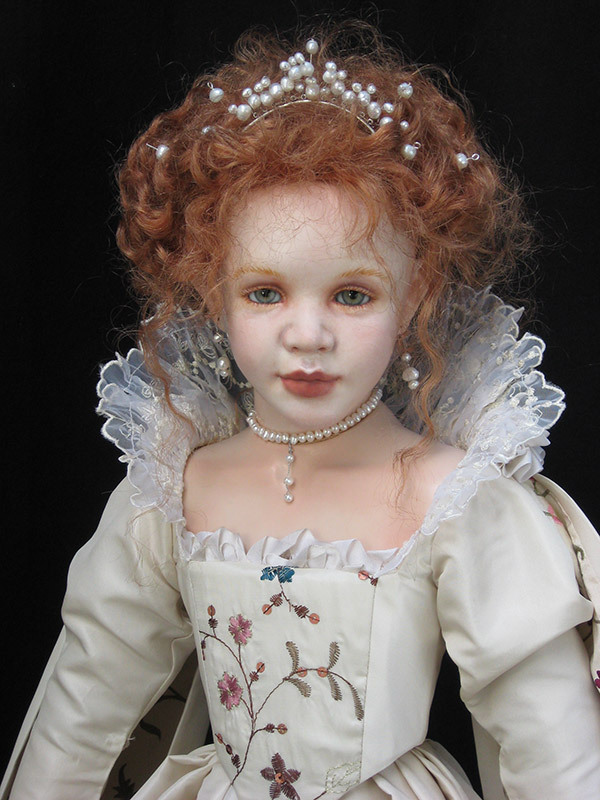 Her typical 16th century corset type bodice is also delicately embroidered. Her whitened face is framed by a characteristically standup collar of embroidered organdy. 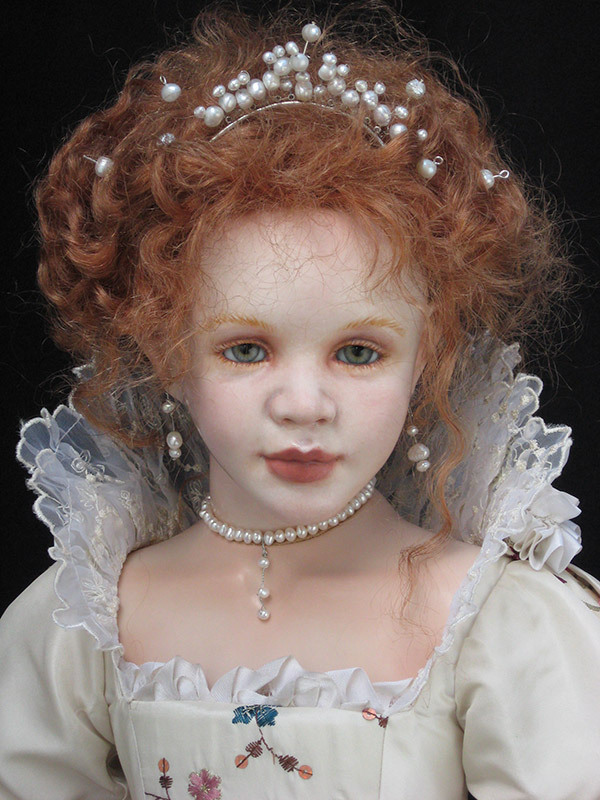 She also wears a pearl coronet, earrings and necklace.